How Can National Debt Relief Help Consumers Get Out of Debt? National Debt Relief has developed a debt consolidation program that aims to help customers pull themselves out of serious credit card debt. With signficant late fees and high interest rates, credit card debt can turn into a vicious cycle that seems to never end. A debt consolidation program can help to reduce the amount of your unsecured debt and can lower your overall interest rate on the remaining amount of debt. You will pay a fee for these services, but you get to avoid having to negotiate with each one of your lenders directly. One of the immediate benefits that you will experience from using a debt consolidation program, such as the one developed by National Debt Relief, is that you will not be bombarded with constant calls from creditors looking for late or missed payments. These daily distractions can easily keep you from focusing on your need to get a solid plan in place for straightening out your finances. How much loan money do I need to qualify for National Debt Relief? When you get your monthly credit card statement, you will see a monthly payment amount indicated. It can be very tempting ot only pay exactly what you are required to, but this is a recipe for disaster over the long run. With a typical annual interest rate of 18 percent for a credit card, making only the minimum payment on a $10,000 balance will cost you $28,000 in interst over 46 years. This is a staggering amount of time to pay off a credit card balance. In addition, carrying credit card debt over many years can result in a serious hit to your credit score, which makes it more difficult to get approved for other loans. If you end up filing for bankruptcy, you will have a permanent blemish on your record that could affect your ability to buy a home, get a security clearance or even break into certain professions. Using a debt consolidation service, such as National Debt Relief, can help you secure approval for a consolidation loan that you may not otherwise qualify for. You can avoid all of the uncertainty and stress of going through a personal bankruptcy by using a professional service to negotiate a lower loan balance and consolidated payments. Even if you have a range of different types of personal debts, such as student loans, credit card debt or medical bills, you can still use the same debt relief service to negotiate with creditors on your behalf. While National Debt Relief does have a good track record in terms of lowering the total debt amount, this service is not free. Be sure to get precise information up front on the amount National Debt Relief will charge to negotiate on your behalf and consolidate your monthly payments. 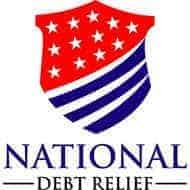 Founded in 2008, National Debt Relief has been helping over 100,000 families get out of their financial rut. With its BBB accredited business and an A+ rating, National Debt Relief has resolved over $100 million in unsecured debts. The debt settlement company is based in New York City. It is a proud member of the American Fair Credit Council or AFCC. What more, all its debt arbitrators are members of an organization called the Association of Professional Debt Arbitrators or IAPDA. If you have loans that are growing and ballooning, and you do not know how to make the monthly payment, then you may opt to choose the debt consolidation program. Debt consolidation helps because you receive more manageable monthly payments at reduced rates. National Debt Relief assists its list of customers in hard financial situations by working with lenders in efforts to drop the entire amount of their debt. Because of the services which National Debt Relief gives and its guaranteed low fees, this debt consolidation company is our Top Ten Reviews Gold Award winner. National Debt Relief delivers debt relief services and delivers additional resources such as counselling and analysis so that you may avoid being stuck again in a difficult financial situation. 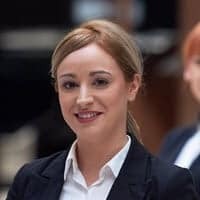 Even though this company works in assisting people out of their debts, it does not welcome repeat customers, as its objective is to assist people find solid, financial footing. National Debt Relief’s debt resolution services comprise of debt settlement and credit counselling. It all begins with opening an escrow account that is named under the customer. From there, National Debt Relief’s debt settlement process will continue. As you open they take it over so that you can meet some of the basic qualifications for debt settlement. Specifically, that the money available for settlement is only available for settlement. It is up to the borrower to start making the necessary deposits on time until the debt has been repaid completely. The escrow account will be utilized to bargain and to discuss a settlement with creditors. This is for a discounted lump sum payment as they negotiate the settlement with creditors, and transfer the settlement payments. Do note that the escrow account is being managed by National Debt Relief. It does not end there, as money acquired from the debt negotiation varies from case to case. One example is when a debt settlement with the Bank of America during the 2015 produced debt reductions from 25% to 52%—a big savings. Another case was also during the year 2015, with a sample for Avant presented debt reductions ranging from 26% to 65%. Typically, the customers of National Debt Relief can get a savings of 50% off their original balance, and even better is it will have an additional 30% if it includes certain fees. It is important to remember that for a customer to be eligible for a debt relief program with National Debt Relief, he must be able to carry out monthly deposits into his escrow account. This is so that the client can enjoy making monthly deposits that are lesser than the monthly payments they were previously making. When the time comes that the escrow account has enough money, this is when the National Debt Relief shall begin to negotiate a settlement with the customer’s creditors. This procedure will be put into use for every account that has been applied to the program. This will then end after each account is fully paid for. Normally, the accounts are settled within 24 to 48 months. A 20% charge on the initial balance amount is typically the fee which the National Debt Relief charges. However, it is important to note that these fees differ, and this is based on a case to case situation. Do not worry, as you will not be charged a cent by the National Debt Relief until it has achieved its end goal of settling the client’s accounts for a discounted fee. In the monthly program payment, customers need not worry as all charges are included. Also, there are no upfront fees. So, for example you choose to settle a debt and stretch out the cost for about two to four year, which is the typical time to resolve an account – then expect to pay an annual fee of 5% to 10%. Still confused? A perfect example is that if you have borrowed $50,000, and National Debt Relief slashes off your debt by 50%, you will then have to expend your lenders $25,000. It does not end there, though, as you will have to pay National Debt Relief $10,000 because the average fee is 20%. Even with the fees that you pay National Debt Relief, it will still give you a big saving of $15,000 or 30% of the initial balance. If you have about $7,500 or more in debt, then you can count that National Debt Relief to help you out. However, National Dent Relief also coordinates debt consolidation loans that are specifically conceived for smaller debt balances. The advantage of the National Debt Relief is that it gives debt negotiation and resolution services for a wide variety of unsecured loans. Also, new customers are provided a free initial consultation. Plus, National Debt Relief doesn’t bill any fees until it has settled the client’s debt account. Moreover, it is accredited by the American Fair Credit Council (AFCC). All of its debt consultants are certified by the International Association of Professional Debt Arbitrators, IAPDA. It is accredited by the BBB and has an A+ Rating. Furthermore, it has assisted over 100,000 clients ever since it began in 2008. However, just like any other lending company, the National Debt Relief also has a few disadvantages. One of them is that it does not receive customers with debts that are less than $7,500. The National Debt Relief does not work on with certain debts, like car repairs, insurance policies, or cash-advance loans. With these pros and cons, we can say that the National Debt Relief is one of the best options when you would want to consider a debt consolidation program. National Debt Relief would like to assist people who have been down trodden because of debt. Apart from this, it does not want people to repeat the same financial mistakes, that is why it also offers a counselling service. This so that its customers may not make the same financial mistake avoid having to take out a loan. As the company works in helping its clients out of their loan, National Debt Relief also helps its customers find a solid, financial footing so that the customers will not anymore be stuck in a rut. These additional resources which have been given by National Debt Relief are deliberately planned to help its clients manage their loans and budget for the future. While a consolidation plan may give you relief to get out of debt, National Debt Relief believes that people will need more tools so that he may no longer go back to that financial downturn and live a debt free life. You may check the website as it has a glossary of terms, which explains common jargon in the debt consolidation industry. 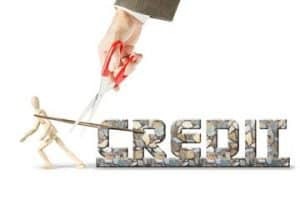 You may also read the FAQs page to develop a more solid idea of the debt consolidation process, know what are the risks involved and its effects of your credit score. If you need further support, clients are encouraged to contact customer service over the phone or through email. As one of the top debt consolidation companies, National Debt Relief bills an average fee for its outstanding services. Apart from that, National Debt Relief also has an impressive success rates with its negotiations. If you have any more questions, the company’s website can answer it with its wide array of information in its FAQs page, videos, and even budgeting resources. These resources are a solid addition to the debt consolidation program and will assist clients to map out their financial pathway.